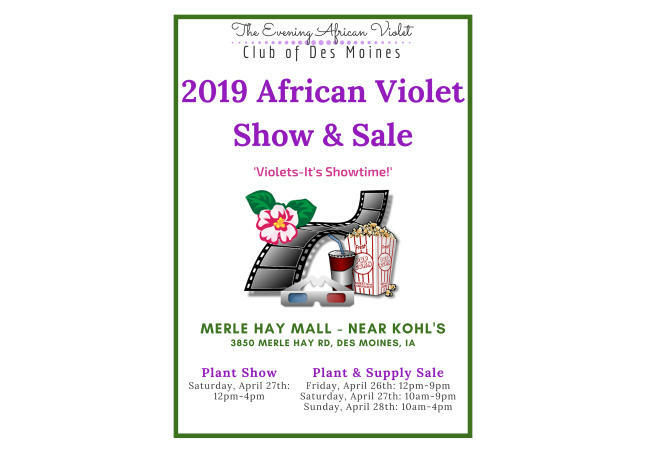 Our show will include container gardens, plant & flower arrangements, and a whole host of African Violets and other Gesneriads on display. 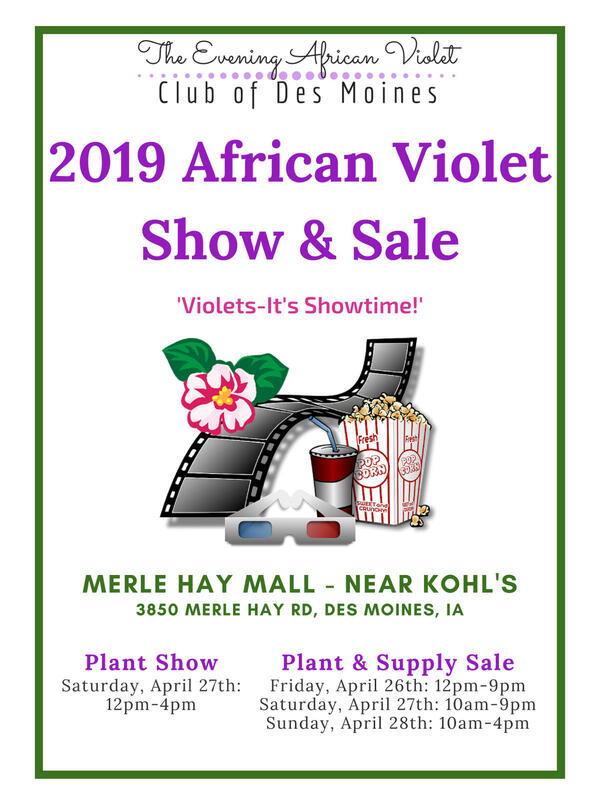 There will also be a huge sale with African Violets, other Gesneriads, and plant supplies. 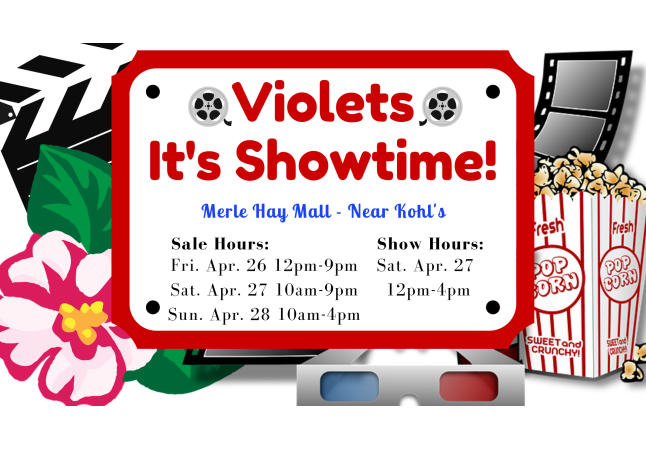 The show is open Saturday April 27th 12pm-4pm. 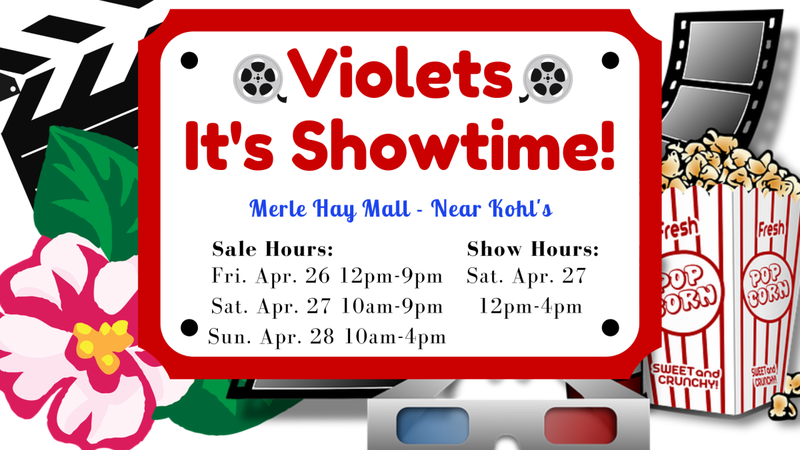 We will be set up in the Northwest area of the mall, near Kohl's.